In response to population explosions in recent years, Double El & Agate Conservation Districts jointly purchased a PERC machine, for leasing to landowners dealing with infestation levels of prairie dogs. The PERC treatment applies pressurized carbon monoxide to the burrows and is a humane method of control. Treatment will not leave toxic carcasses or residue, does not require poisons, and is not a threat to other animals. Vegetation, turf, plants and trees are not disturbed. 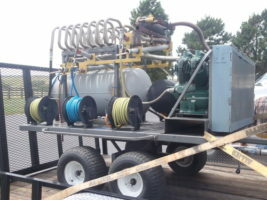 Contact Us to schedule your lease of PERC machine for use in restoration of infested grasslands. 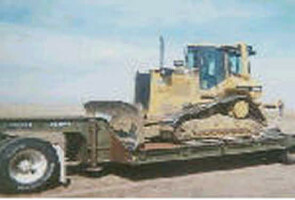 Agate Conservation District has earth moving equipment to aide in the construction or restoration of dams, terraces, diversions or to plug cow trails, on a limited basis for landowners within the Agate Conservation District. Please contact Casey Craven at 970-597-7837 for more information regarding leasing options.